Check out our New Plus size Shirt. They come in 1x 2x and 3x. The material 95% rayon and 5% spandex. Style v neck. Flow soft material. 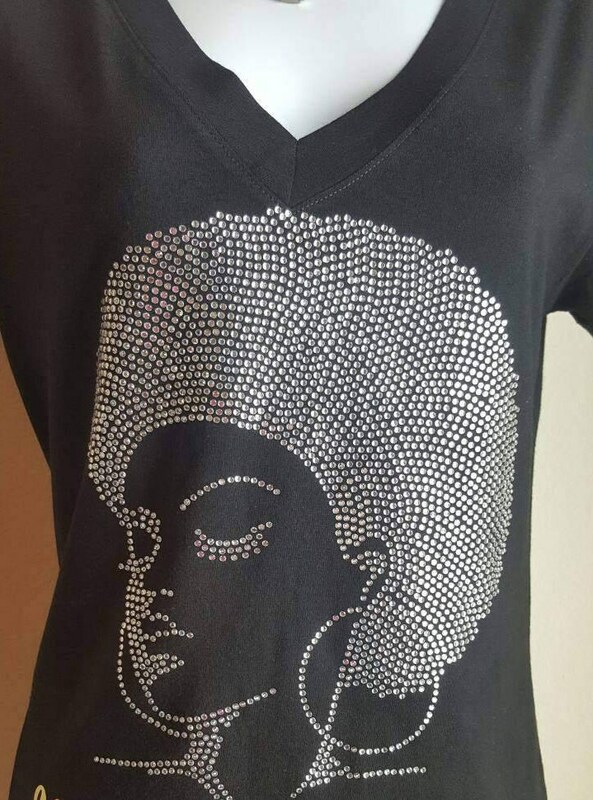 You are viewing a Natural hair clear rhinestone tunic style shirt with clear rhinestones. This design comes on v neck spandex shirt. The material is 95% cotton and 5% spandex. The color of the shirt is black. The shirt in available in lg. Washing instruction : the item will be washed inside out on cool water wash and hang to dry. Thanks for viewing my item add my item as a favorite.